of your home in today’s market. video walkthroughs, and state of the art virtual tours. motivated to bring their clients to the homes we list. Pretty soon, the offers will start to roll in. 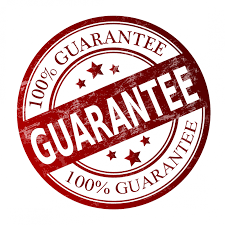 Sale Guarantee as a potential back up plan. the end of the listing agreement. Jose was superb at customer service! Always available, willing to hear all our concerns/needs and blended professionalism and relatability perfectly! My husband and I worked with Ryan and Brian while selling a home and purchasing a new home. They were enthusiastic, hard working, efficient and extremely professional. And they were able to get us out of our old home and into a new home quickly! I would encourage anyone wanting to buy or sell a house or other property to team up with the Ryan and Brian Real Estate Team! The Ryan and Brian Team was able to get my property under contract in 10 days! They were fantastic and worked with my busy schedule making the process smooth! Ryan and his incredible team helped us sell our home extremely fast. The house went on the market on a Friday and we had an offer on the table by the next week! They were on top of everything from start to finish, and kept us in the loop throughout the entire process. We are truly blessed to have worked with such honest and trustworthy people that definitely had our best interest in mind. My home was listed for 380 days with another agent and we were not able to get it sold. My wife and I decided to give it one last try with another real estate office. We are so happy we did! The Ryan and Brian Team got our house under contract and sold in SIX DAYS!!! Excellent customer service. Kathleen was available all the time. Made the process really easy since the beginning. Gave us a lot of options. Our agent, Kathleen, made us feel like friends and we could tell she truly cared about this life changing experience. She made the purchasing of our home easy, booking the viewing of the homes to our convenience. For anybody looking into purchasing a home, these guys know what they are doing. I wouldn’t look any further for someone to represent you during this decision. Ryan and his team are true professionals that work well together to get your home sold for a competitive price! Our home sold in less than a month, for above asking. Beyond grateful for the dedication and effort in listing our home.